Debra Borie-Holtz is an Assistant Professor of Teaching at the Bloustein School where she also received her master’s degree in Public Affairs and Politics and her doctorate in Planning and Public Policy. Borie-Holtz has been an instructor at Rutgers teaching writing, public policy, and method courses at both the undergraduate and graduate level since 2006. At The Eagleton Center for Public Interest Polling, she directs special survey research projects for public, non-profit and academic clients ranging from local planning studies to national research on attitudes about climate change. Her academic research interests include policy formation, implementation and politics, legislative leadership and governing in the states, regulations and rulemaking processes, women in government and gendered leadership, as well as methods. Prior to returning to graduate school in 2005, Borie-Holtz worked in federal and state government. She held a Presidential appointment as an agency director during the Clinton Administration and also served as New Jersey Assistant Secretary of State during the Florio Administration. 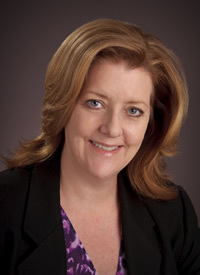 In addition to her executive service, Borie-Holtz served as the chief of staff to the New Jersey Senate Majority Leader and chairman of the New Jersey Senate Energy and Environment Committee for more than a decade. Her executive and legislative areas of specialization focused on environmental and energy policies, as well as agriculture and conservation, education finance, labor/management relations, campaign finance and ethics reform and state and federal budgeting. Borie-Holtz is also the co-author of The Politics of Regulatory Reform with Stuart Shapiro which was published October 2013 by Routledge Publishers. Regulation has become a front-page topic recently, often referenced by politicians in conjunction with the current state of the U.S. economy. Yet despite regulation’s increased presence in current politics and media, The Politics of Regulatory Reform argues that the regulatory process and its influence on the economy is widely misunderstood by the public and policy-makers alike. The research concludes that the politics of regulatory reform is much more about politics than it is about regulation. 2014: Shapiro, S. and Borie-Holtz, D. “Exploring the Relationship Between Regulatory Reform in the States and State Regulatory Output”, 64 Case Western Reserve law Review 1791 (2014). 2016: Shapiro, S., Borie-Holtz, D. and Markey, Ian (2016). “Regulatory Reform: Retrospective Review in Four States” Regulation. Vol. 39 No. 1, 32-35. 2014: Shapiro, S. and Borie-Holtz, D. (2014). “Why Regulatory Reform?” Regulation. Vol. 37 No. 2, 3-5. 2014: Shapiro, S. and Borie-Holtz, D. (2011). “Lessons from New Jersey.” Regulation. Vol. 34 No. 1, 14-19. 2014: Shapiro, S. and Borie-Holtz, D. (2013). “The Politics of Regulatory Reform.” (RegBlog, University of Pennsylvania School of Law). Retrieved from http://www.regblog.org/2013/10/21-shapiro-borie-holtz-2.html. 2014: Shapiro, S. and Borie-Holtz, D. (2011). “Does Process Matter: Regulatory and Regulatory Output in the States.” (Working Paper). New York: Institute for Policy Integrity, New York University School of Law, pp.17. Retrieved from http://policyintegrity.org/publications/filter/working-papers/P5/. 2014: Borie-Holtz, D. and Shapiro, S. (2009). “In the Regulatory Weeds of the Garden State: Lessons from New Jersey’s Legislative Process.” (Working Paper). New York: Institute for Policy Integrity, New York University School of Law, pp. 29. Retrieved from http://policyintegrity.org/publications/filter/working-papers/P15/.